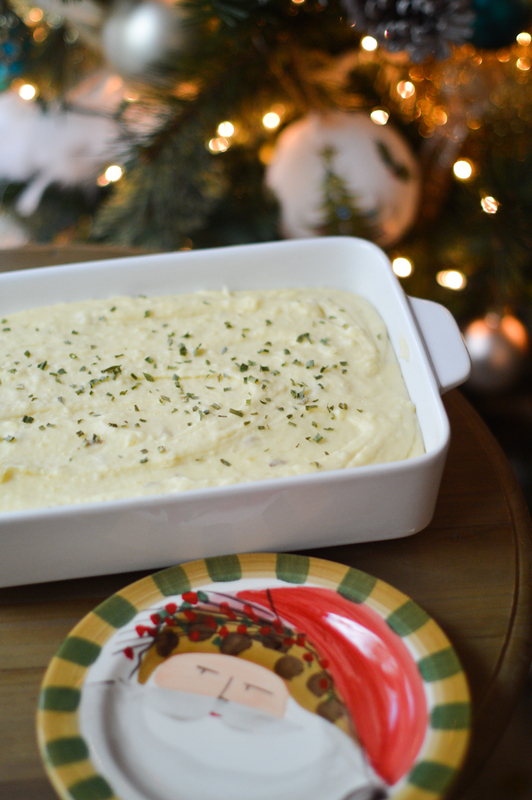 When we have family gatherings during the holidays, my family pretty much always expects that I'll bring one of two things - brown rice (you can check out my Nonny's recipe here) or mashed potatoes. This year, I did add a breakfast casserole to my Thanksgiving repertoire, and I'll have to share that recipe that I got from a friend soon because that. thing. was. good. 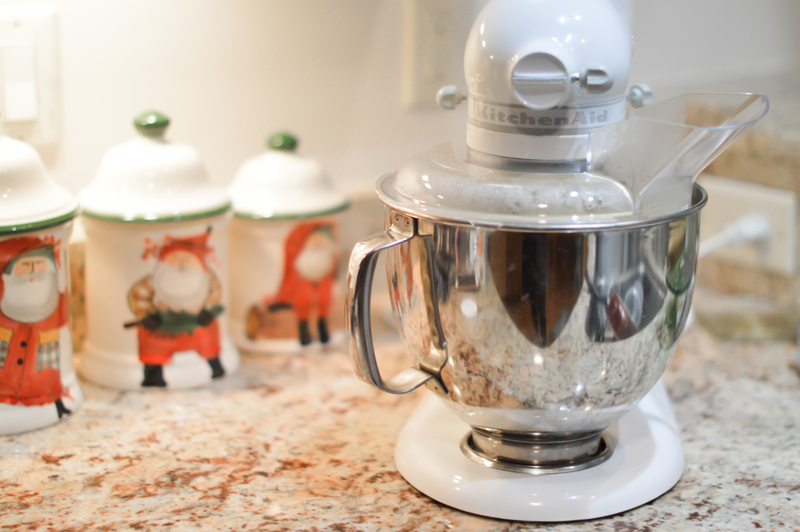 We received a KitchenAid mixer from my grandparents as a wedding gift and I love this thing for mashed potatoes. I dump all of the ingredients into the mixing bowl, turn it on low and gently raise the speed until the potatoes are nice and creamy. It makes it so easy! 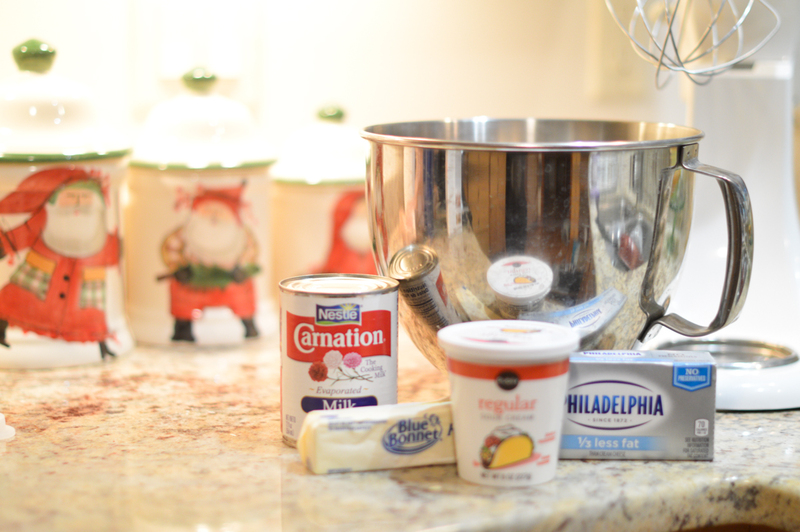 Though a hand mixer works just as well, too. You can also top your potatoes with garnishing of your choice! I opted for chives here but will sometimes add cheese or bacon and then pop in the oven until melted. 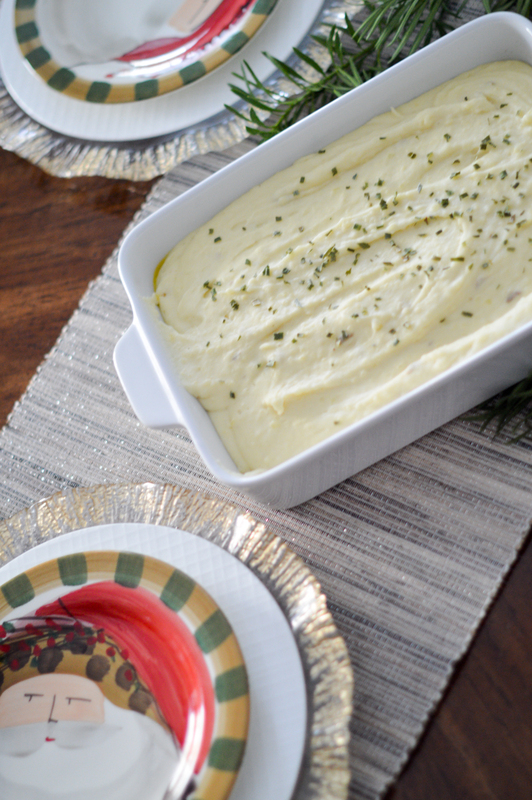 If you are taking your dish to someone else's home, just warm in the oven if they need a little heating. *Another Note: The ingredients listed above are give and take. That's what I base my recipe off of but I'll add the evaporated milk slowly to see how creamy I want them to be. If my brother is around, he'll tell me add the rest of the cream cheese and probably the sour cream, too. 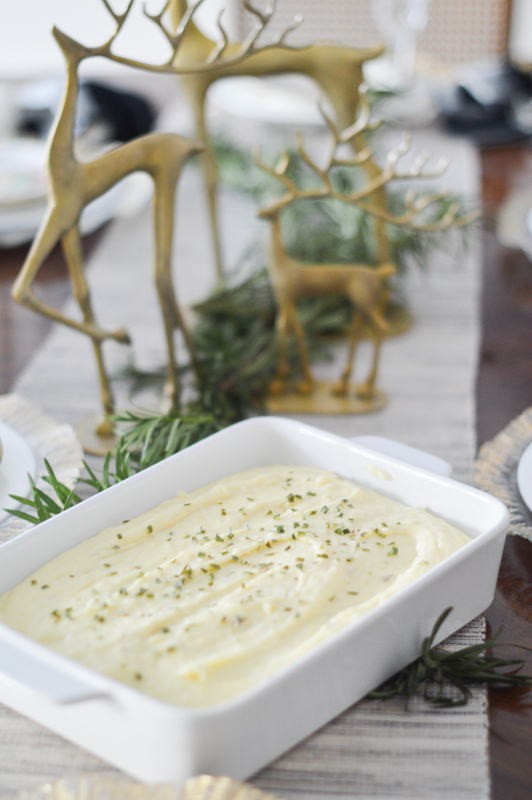 In this mashed potatoes photo shoot, I thought I would also share a few of my fun little tablescape items! I snagged these reindeer from Pottery Barn a few weeks ago and I've just been moving them around my house because I like them so much. 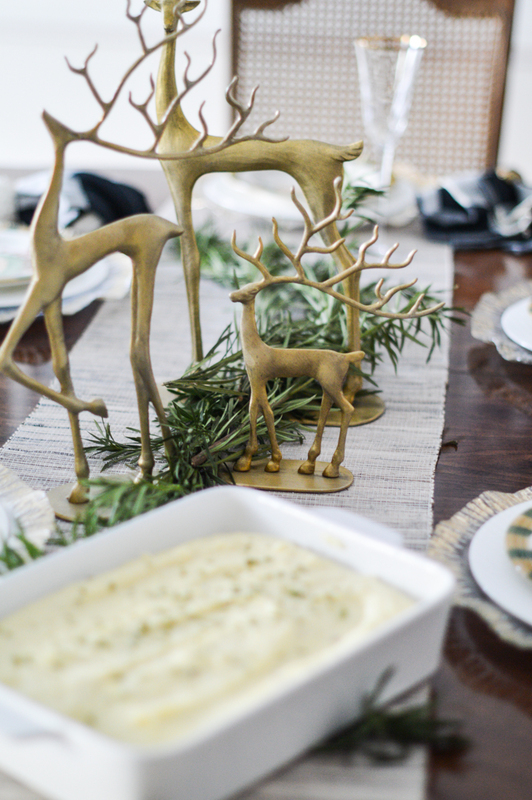 Although, this little trio may have found their home for this Christmas season on our dining room table. 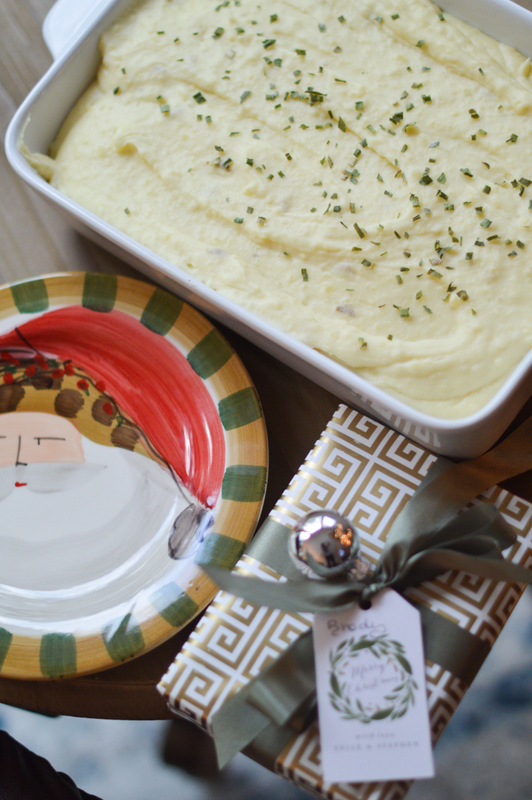 Our Vietri Old St. Nick plates are also one of my Christmastime favorites. We opted for dessert plates vs. an entire set of Christmas china and we mix and match with our other pieces, like these gold ruffle chargers that I always receive the most compliments on. 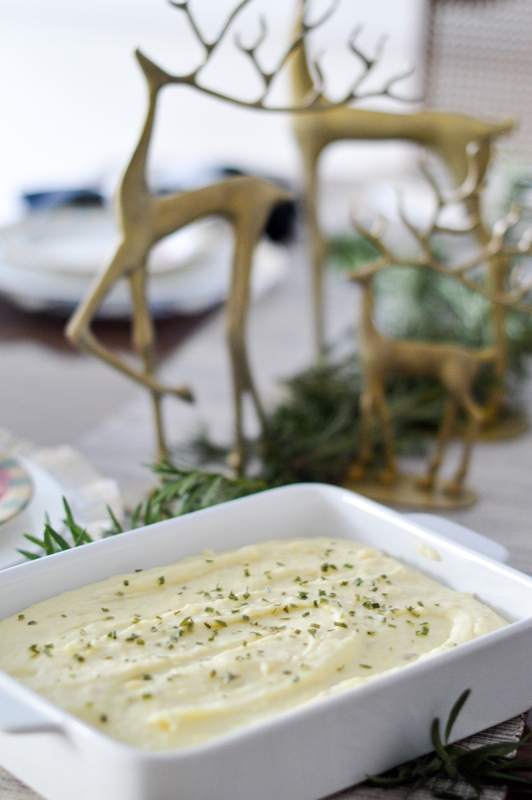 What's your go-to side dish for the holiday season? I always love hearing about a few favorites!